Ready to take your business digital? Whether you’re transforming your business or implementing a solution to a specific business problem, DocuSign has the services and support offerings to help you succeed. We know that you’re making an investment when you buy DocuSign, and we’re here to ensure that your investment pays off quickly. DocuSign provides a broad range of services, educational programs, and business support to help you achieve and exceed your business goals. Whether it's identifying the highest impact uses, assisting in system integrations, or empowering your team to roll out DocuSign smoothly, we help you get up and running quickly. 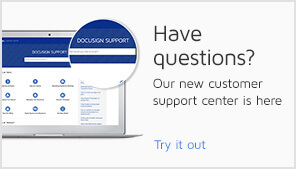 Our world-class Customer Support team is here to assist you in using DocuSign for your critical business transactions. And training and certification through DocuSign University helps ensure that your entire organization – from system administrators to developers, from senders to signers - has the necessary skills to make DocuSign a core part of how you get business done. DocuSign Customer Support provides the assistance you need so that you can focus on getting your work done. Our industry-leading global support is here to back you up—no matter where you do business. We provide access to the expertise you want, whether through our communities, our knowledge base and on-demand training, or our team of experienced technical support engineers. We know that your business never really stops. And when you need an answer, you need it now. So, whichever support plan you choose, we have options for reaching us—24 hours a day and seven days a week—around the globe. We provide 24/7 live chat, online case submission and management tools, and emergency response, if needed. And, of course, we monitor all of our core systems to ensure interruption-free service. Sometimes you just want to find the answer to a question yourself and keep moving. We get that, which is why we’re committed to simplifying your support experience through a powerful search engine and knowledge base, robust communities, and a library of on-demand training and videos. We’re dedicated to ensuring that you get the answers you need—the way you want them. Every organization has different needs and different budgets. So DocuSign provides support plans to accommodate your unique requirements. From basic support to our Enterprise Premier offering that includes a named support engineer, we’ve got you covered. Pick the plan that works for you, and know that DocuSign Support has your back. DocuSign University (DSU) is our educational resource center dedicated to empowering every member of your team to get the most from DocuSign. Whatever your industry, responsibilities, or business needs, DSU has a range of training options available to help you. That might be an in-person certification for API Developers, a virtual Administrator course, or an on-demand eLearning refresher. Rest assured, DSU has training to fit your needs and timeframe. And if you need specialized onsite training or a custom training video, we can do that, too! Our goal is to empower you to thrive independently. Whether you’re looking for a strong start with DocuSign or to take your operations to the next level, getting certified through DSU is a great approach. Our certification programs enable you to gain the in-depth skills that you need to implement your digital business plans with DocuSign yourself. And we have curriculum specific to your role, whether you are a DocuSign administrator, workflow manager, or developer. Get certified, and unleash the full power of DocuSign in your business. 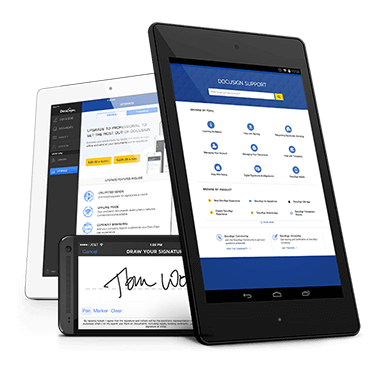 DocuSign University is the go-to place to get the very latest training videos on getting your work done with DocuSign. We cover the most valuable aspects of the platform and are constantly adding new content to make your journey to digital business a success. Access complimentary basic content online, or enroll in DSU’s eLearning Premium Pass for a more extensive on-demand training library. 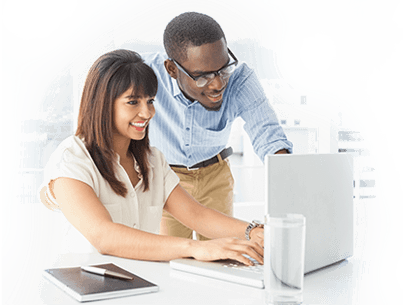 When you have specialized educational requirements, we offer custom training solutions unique to your organization’s needs and use cases. Tailored, instructor-led training is available online or onsite and is designed to support your goals—whether it’s an initial roll-out, a new integration implementation, or increasing adoption across your company. Custom videos help prepare your employees or customers for your particular DocuSign roll-out. Finally, custom eLearning portals can combine the best of DocuSign’s on-demand content with your custom videos in a branded eLearning experience. While DocuSign is simple, sometimes your business processes are complex. With DocuSign’s API connectors and open APIs, you can create a custom solution that uniquely fits your business. Our Professional Services team can be your partner to achieve efficient digital business processes. If you don’t have the time to do it yourself, if you need an advisor who can provide you with insight and guidance, or if you just need some technical expertise to move your project along, our staff can design, integrate, and implement a solution that hits the mark. We can even build templates and help you get to business readiness. We’re here to make you successful—fast. We’ve completed thousands of DocuSign deployments by developing a proven methodology, along with a set of best practices implementing DocuSign for a vast number of use cases. This methodology helps you get up and running quickly, and cost-effectively. We combine deep product expertise and our experience in executing projects with a thorough assessment of your needs to ensure that you benefit from our knowledge. You gain value from our hands-on work with the product and the hundreds of customer engagements we’ve completed. You can count on a fast, successful implementation that lets you start using DocuSign in the way that works best for you. If you’re looking to integrate DocuSign with other systems, our Professional Services team can help. 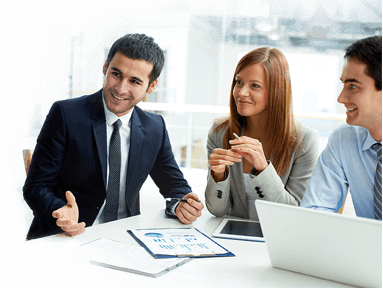 We work with you and provide assistance integrating with any of the tools that you need to run your business. We’ll play any type of role in the development process, whether it’s advisory, project management, or even code development. When you want hands-on consulting to speed adoption and to deepen the value of DocuSign in your organization, it’s time to call in a Customer Success Architect (CSA). Our architects aren’t just knowledgeable in DocuSign, they are also experts in building the business plan and executing the use cases that are right for your business. When you need an expert dedicated to getting value from DocuSign across your organization, a Customer Success Architect can help. Our CSAs get to know you and your organization, along with its unique requirements, and then build and execute plans that let you achieve your goals. We come from businesses like yours so have real-world industry experience that ensure we help DocuSign meet your unique industry needs. Your CSA works with you to clearly identify your highest priority use cases—the ones that quickly deliver the geatest ROI and that align with your business goals. And we make sure you’re able to measure your results, so you can prove the value to your business. Your CSA is there to get the job done, while ensuring that you have what you need to do it yourself the next time. We want show you how we do it, so we provide you with the tools and training you need so you can take the lead. We also provide ongoing access to best practices, along with entrance into a community of peers, so you can benefit from the experiences of other customers.